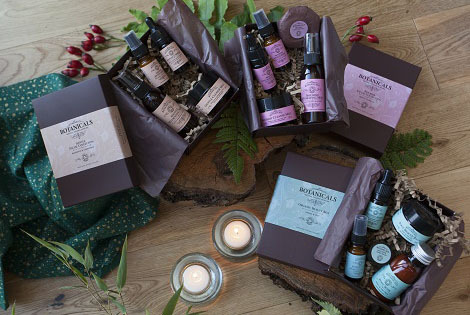 To help celebrate Valentine’s, Mother’s Day, birthdays, anniversaries and other special occasions, or to simply treat yourself, Botanicals Natural Organic Skincare has created a special range of delightful gift packages. There are ten different gifts to choose from, with a selection of beautifully boxed and bagged presents, whether caring for the face, hands, feet or body. Using the pure power of plants and the finest botanical ingredients, Botanicals skincare gems smell simply divine, feel wonderful, are sheer pleasure to use and produce clearly visible improvements in the look and feel of the skin. All Botanicals products are developed using strict performance and ethical standards, offering ecological products derived solely from sustainable, natural resources, free from artificial colours, fragrances and petrochemicals, including parabens. Botanicals natural organic skincare products are also cruelty-free, not tested on animals and suitable for vegans. Botanicals is extremely proud to be endorsed by Naturewatch Foundation, which has the strictest endorsement criteria for cruelty-free products in the world. Botanicals supports the work of this highly respected animal welfare charity and is listed on the Naturewatch Foundation Compassionate Shopping Guide.